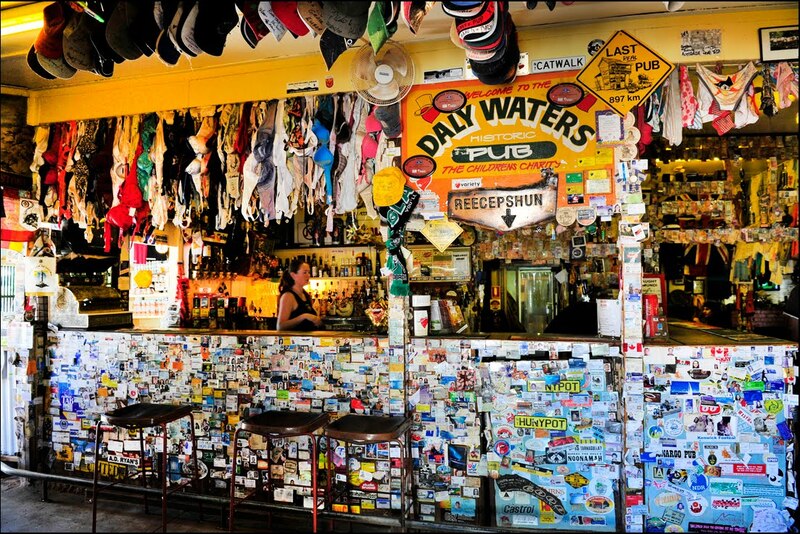 Daily Waters is four kilometres off the Stuart Highway and is worth the detour to see this one pub, one servo, no shop settlement. 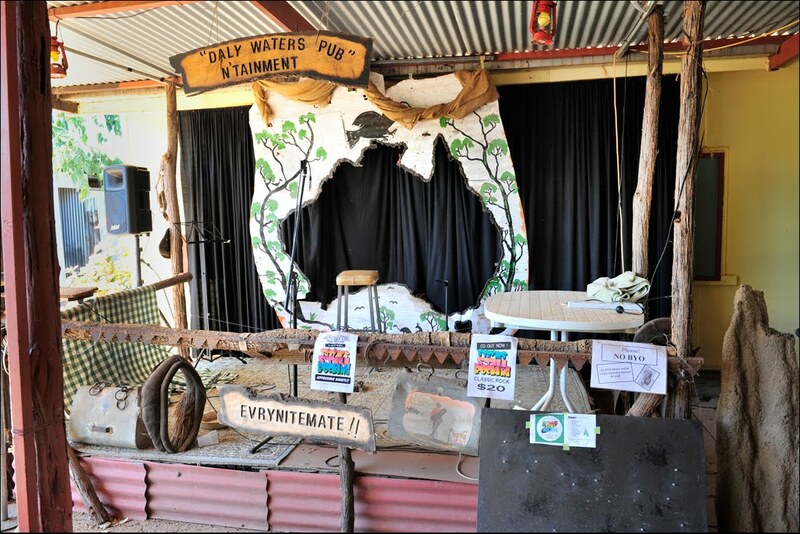 The Daily Waters pub is a place of Character along with Frank the Chook Man who is the nightly entertainer there. There is a caravan park and cabins here and the pub is an entertainment centre of an evening. It was a late start leaving the campsite at the Devil’s Marbles having taken photos and walked around the marbles again. From there it was into Tennant Creak, a place that I cannot say much about except to avoid if possible. We did however fuel up here and bought lunch for a change. 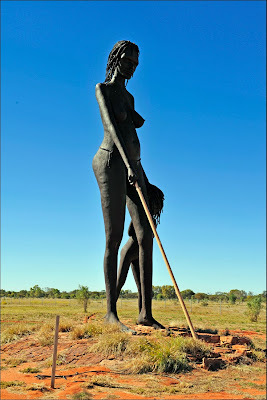 Settling for a short day, we drove to a roadside rest area known as Attack Creek which is 70 Kilometres north of Tennant Creek. We were now in the tropics and winter seemed far away even though it was only June. While we were at this campsite, we packed our bed Dooners into plastic bags and stored them under the bed. The feather down coat also went into storage; no we will not need them again this winter. The days are now in the low 30 degrees and the nights very pleasant. Friday was to be another short day doing less than 200 kilometres. Why is that? Well we found a small piece of Paradise. 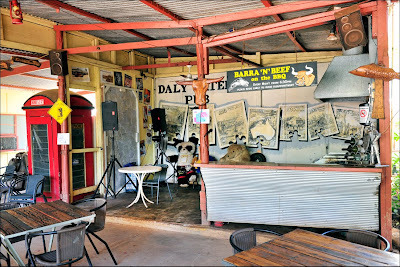 We followed the Stuart highway to Elliott, another town not worth mentioning but the gateway to Longreach Waterhole, 10 kilometres west of the township on a dirt road. There are no signs to show you it is there just a dirt track and a Private Property Keep Out sign. 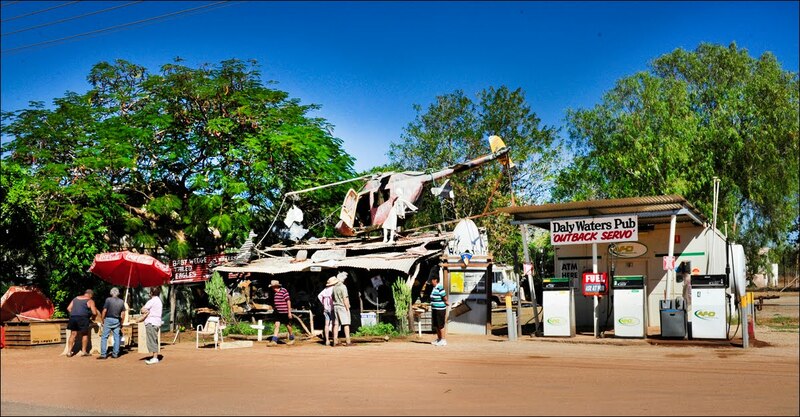 We heard about it in Tennant Creek but the locals in Elliott like to keep the place for themselves. 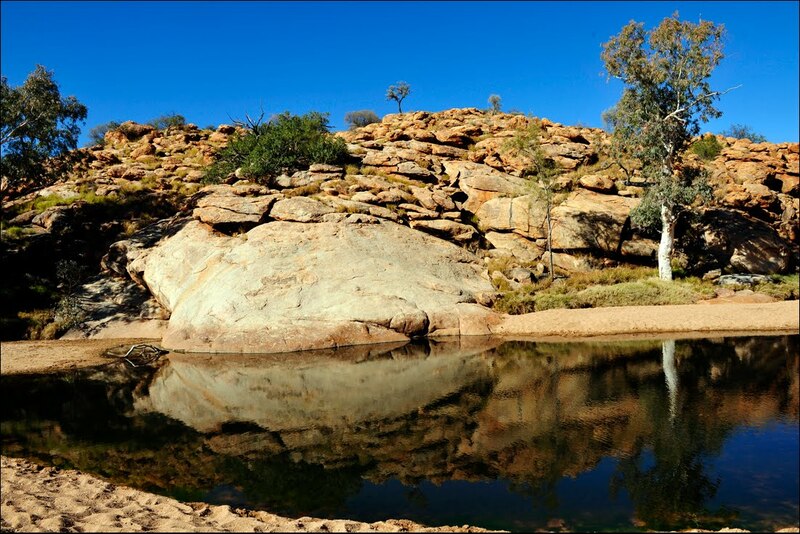 Longreach Waterhole is a natural watercourse approximately 150 metres wide that leads into the 240 square kilometre Lake Woods and the waterhole forms part of this lake. Lake Woods is a major breeding habitat for many inland birds. As we pulled up there were water birds everywhere. They included Pelicans, Cormorants, Darters, Straw neck and Glossy Black Ibis, Caspian and Gull-billed Terns, Whistling and Black kites, Brolgas, Jabiru, Large and Intermediate Herons, Finches, White winged Thrillers, Rufus Whistlers, Jacky Winter and the list goes on. It was difficult to make time to set up the caravan, I just wanted to go but Coba had other ideas. Just after we stopped a pair of Brolgas was dancing on the bank opposite the caravan. Then an army of around 500+ pelicans and 2000 little black Cormorants came down the waterhole hearting the fish in front of them and fishing at the same time. They were packed together so tight I do not know how they got their head in the water. This happens several times a day. The birdlife on the waterhole was an example of the biggest and strongest beats up the smallest and lives easy on the small guy’s hard work. The Terns would dive into the water and catch fish and the kites would attack them to make them drop their catch and then swoop down and take it up from the water. The little black cormorants need to surface to swallow their fish that they catch and the nearest pelican would attack it for the fish. I saw a pelican grab a Little Black Cormorant in its bill and hold it under water until it let the fish go and then the pelican took the fish. It was nature at its best. Next morning I was up at daylight and out with the camera. It was a shot a second and I did not know where to point the camera next. It is unbelievable that there could be so many fish in this waterway. At times there would be a dozen cormorants in camera range all trying to swallow full live fish. At the same time there were so many birds in the air I wanted to get flight shots. This place was a bird photographers dream. A Black Kite on the lookout for Terns with fish. By 10.00 am I had to walk away and try for some bush birds. Red-browed Pardalotes were calling in the trees but finding them was another challenge. There was one calling from a tree just outside the van and I had Coba and myself searching for it and we still have not found it. I headed bush and after two hours I saw my first Red Browed Pardalote. An hour later and I had managed to get some shots of these small elusive birds. After lunch we went for a drive following the winding waterway and looking for more birds. In the evening we had some of our caravan neighbours over for a show of bird photos taken along the way. While we were doing this I noticed that there was an eclipse taking place so we followed the moon though part of this process. 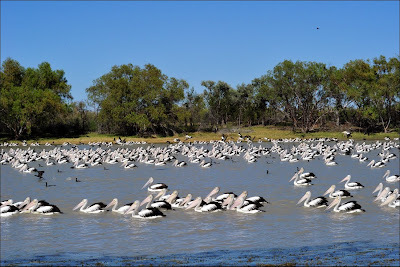 Sunday was a repeat of the first two days although several pelicans left the waterhole soaring up until they were out of sight before heading off, probably to Lake Eyre. We had our third great sunset again this evening and it was necessary to capture the moment for the memories. Monday morning it was on the road again, next stop – Mataranka. Our flight from Sydney to Alice Springs on Saturday had a bonus in it when we flew over Lake Eyre. The weather was clear and we were given great views of the giant saltpan that had filled with water. The thing that surprised me was the number of islands in the lake. Our flight path took us over the area between Lake Eyre and Lake Eyre South. I think that the pilot bought the aircraft down to a lower altitude to give us the views. For once I never had a camera with me so I missed out on the photo opportunity. 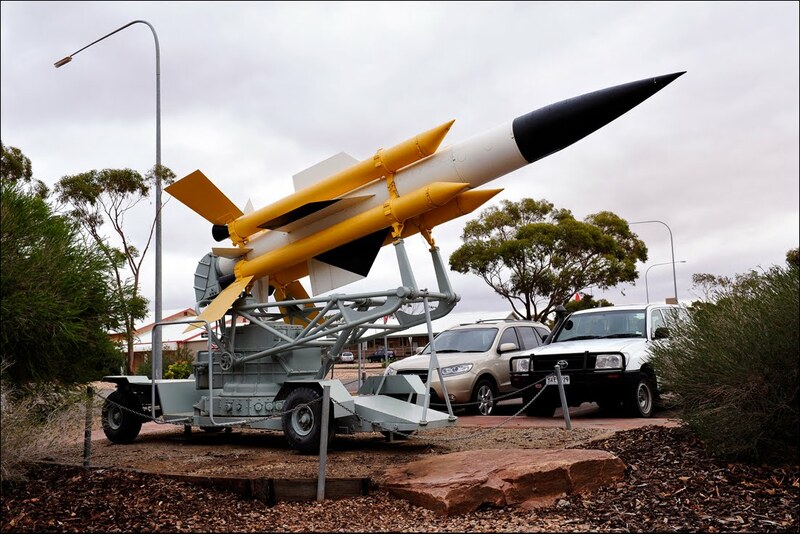 On our arrival in Alice Springs we retrieved our vehicle from the long term car park and went into Alice to replenish our supplies. 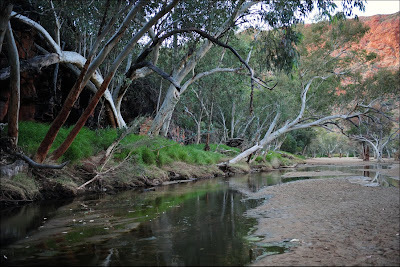 We then collected our caravan and headed for Trephina Gorge in the East MacDonnell Ranges. When we arrived, the camping area was full so we set up in the overflow camping area which we had all to ourselves. After setting up I went for a walk to try and find some birds to photograph. I managed to get some near our camp site one of which was a different Hooded Robin. The common bird in the area was the White Plumed Honeyeater. That night was extremely cold so it was an early night into the bed to warm up. Next morning I was up before the sun and I headed down the road towards Trephina Bluff and into the creek to get photographs. It amazed me the colour change in this Bluff as the light changes through the early morning. 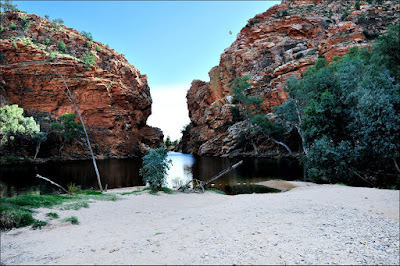 I then headed back to the caravan before walking into the gorge to check things out. On my return I managed to talk Coba into doing the ridgeline walk around the top of the gorge and then returning through the gorge. I was surprised at the difficulty of this walk mainly due to the rocky condition of the land as well as poor physical condition. Trephina Bluff from Triphina Creek in the early morning light. That afternoon we went for a drive into John Hayes Rock pools which is a 4X4 wheel drive. 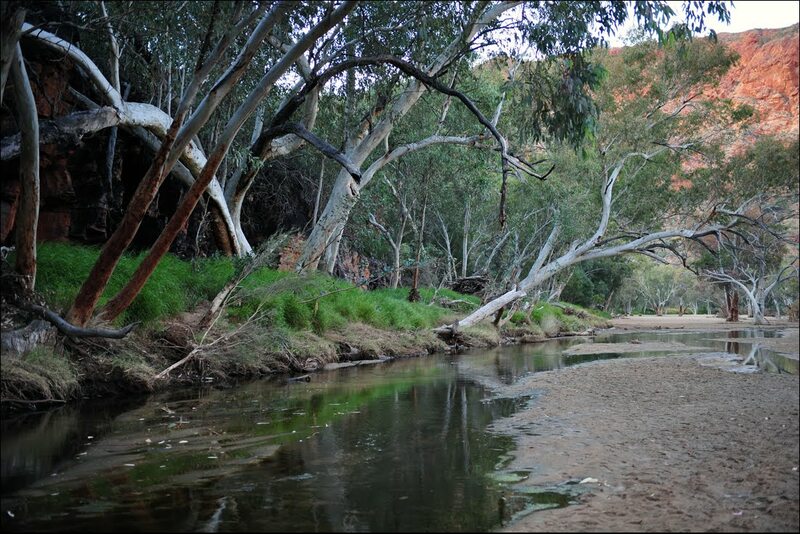 The track ran along the river bed in several places with one section being just boulders to drive over. Needless to say Coba was no real happy. The rock pools were nothing and I felt that I had wasted the effort to drive there. That night we tried out the generator as we had not used it to date on this trip. All went well and I had power to run my computer and charge batteries. Monday morning it was up again before sunrise but this time I headed into the gorge for photos. 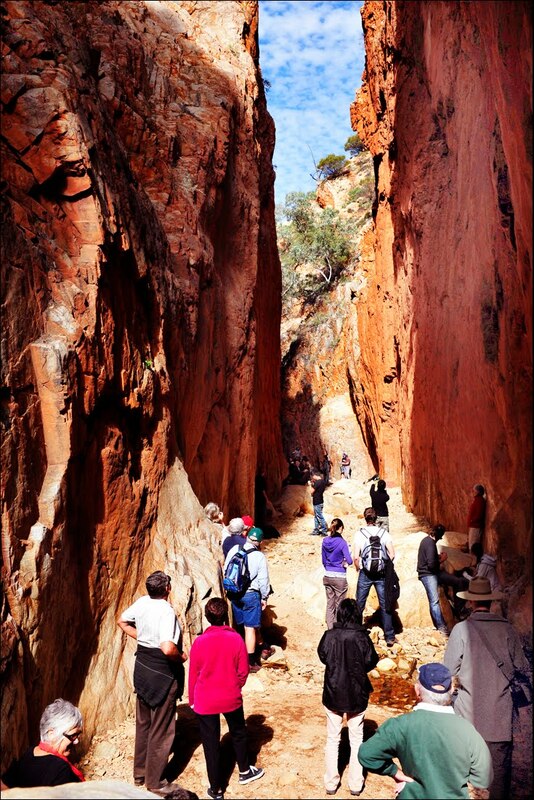 Trephina Gorge is the jewel in the crown of the East MacDonnell Ranges. I took the opportunity of the soft light to photograph the gorge, returning to the caravan for breakfast at 9.00 am. We then packed and hooked up the van to move on. Our first stop was Ross River Resort where Diesel was $2.30 / litre and petrol was $2.35 / litre. From there it was back to Corroboree Rock where I had hoped to find the Grey Fronted Honeyeater. There were no Grey Fronted Honeyeaters but I did manage to find and photograph two Painted Finches. My main reason for going to Trephina was to look for these birds but I could not find any there. I had all but given up on these finches so this had been a lucky break for me finding them here. Then it was a short stop at Jessie Gap and into Alice Springs. Trephina Gorge is a beautiful place and we both could have stayed there longer but we had coved it and it was time to go. Tomorrow (Tuesday) we intend to move north and hope to find warmer nights. The days are beautiful but the nights are cold. Leaving Rainbow Valley just after 10.00AM we were in Alice Springs by lunch time and booked into the G’Day Mate Caravan Park. After lunch it was into the visitors centre and then to Coles for supplies. Sunday morning found us driving the road into the East MacDonnell Ranges but we only visited Emily and Jessie gaps and Corroboree Rock before turning around and returning to the caravan. That afternoon we went to the Botanic Gardens in Alice Springs where I observed a Western Bowerbird trying to encourage his lady friend into his bower. The lesson I learnt from this is that it is a female trait in all females be it man, beast or bird but there was no way that that female bower bird was going to be temped. She was not going to enter that bower. He was tempting her with all his trinkets but nothing worked. The Western Bowerbird. Bowerbirds are the engineers of the bird world. Not only do they build a nest to lay their eggs and raise their young, The male bird also builds a a stick structure called a bower which is a love shack where he encourages the female into this bower and they mate. Monday was a visit to the Desert Park which kept me amused. I was really impressed with the birds of prey display where the handlers work with hawks, falcons, owls and even a magpie. 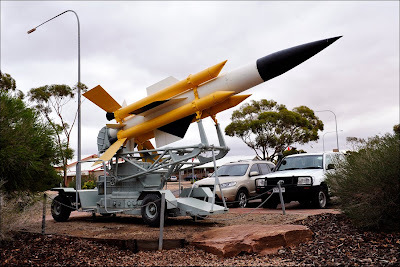 Our first stop was a six kilometre detour off the highway into Woomera, The home of the Australian and UK rocket testing as well as nuclear bomb testing. 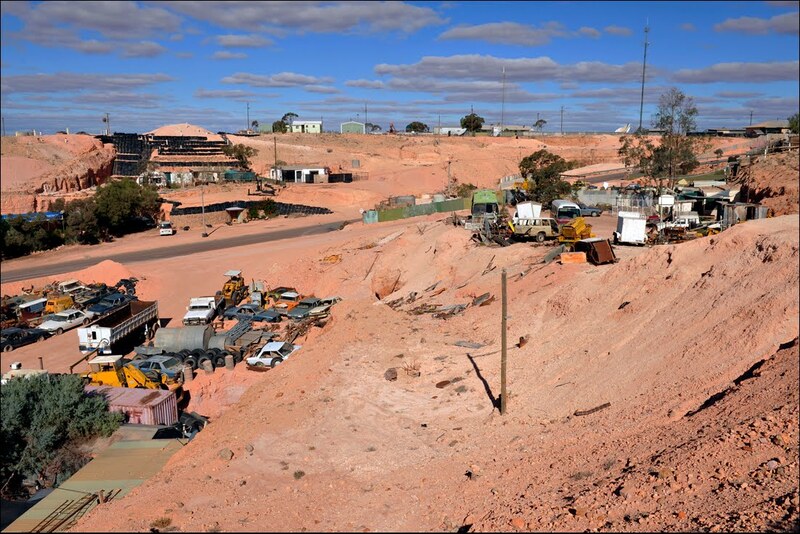 This town is owned and operated by the Australian Government. 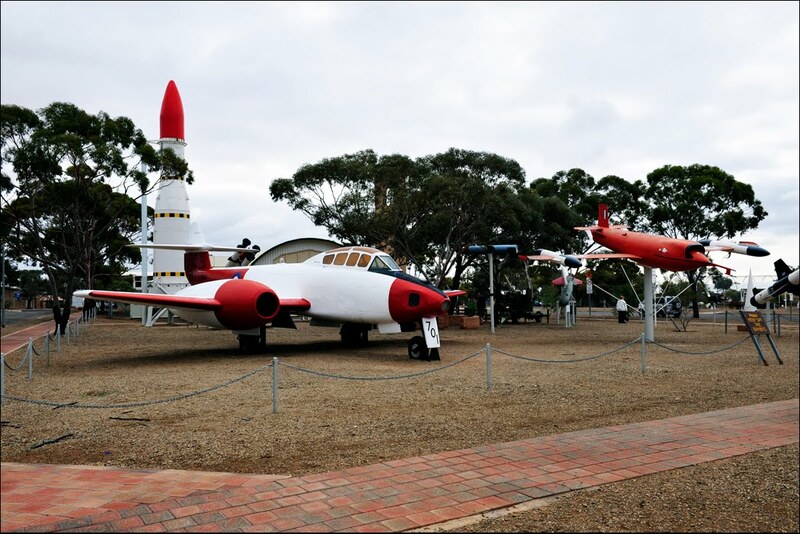 Tourists are welcome and there are displays of rockets, military aircraft and artillery displays. Down the road the threatening clouds soon turned into rain and the day was spent driving through continual showers. At Glendambo there was water everywhere from the heavy rain that had hit the settlement before we arrived. We continued on up the road and spent that night camped at Bon Bon rest area along with a dozen other vans. This rest area had a toilet, which made it a suitable stop for the night. That evening the weather cleared and we were to learn that we had seen the last of the rain for a while. From town we went out to the Breakaway Range which is a spectacular line of eroded hills with many colours making the landscape unbelievable when it comes to the colour of the area. 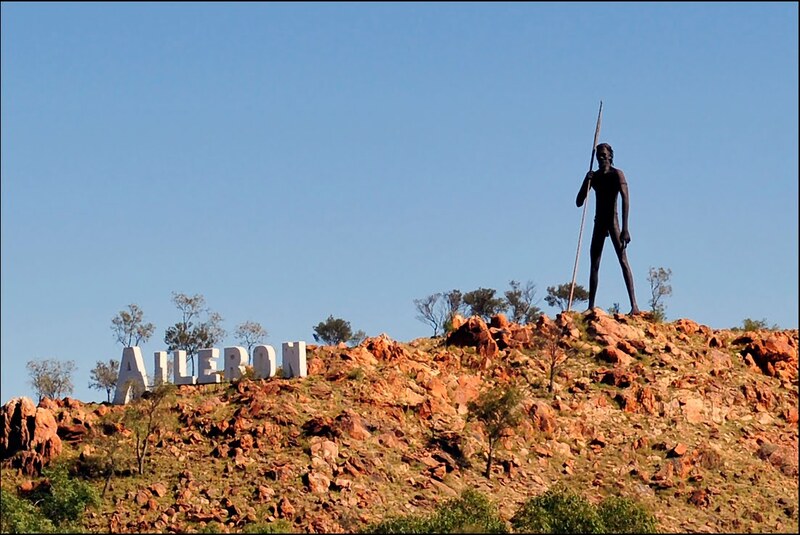 This area is also part of the local Aboriginal heritage and there is a permit fee required to enter the area. Next morning we continued north with the intention of going into the Painted Desert. Sadly for us the road was closed and we were not able to enter the area. This is the second time that I have missed out on seeing the Painted Desert but we were told that it is similar to the Breakaway Range. We continued north stopping to check out bird sites and that night (Thursday 3/6/2010) we bush camped down a dirt track off the Stuart Highway. 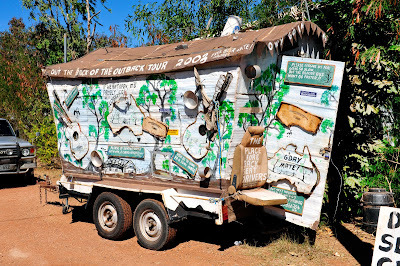 This turned out to be a great spot for birds so I left Coba in the van while I went chasing birds to photograph. I managed to get Chats, Wood swallows, Zebra Finch and the rare Bourke’s Parrot. I ended up seeing eight of these parrots in total while I was there. For anyone wanting to go there the GPS co-ordinates are 26 Degrees 11’ 52” South and 113 Degrees 11’ 17” East. Next morning I again saw the Bourke’s Parrots but only managed a distant photo. The finches were there but the chats and wood swallows had gone. Breaking camp and moving on we made it to Rainbow Valley at around 2.00 PM. This was our campsite for the night. I managed to get a good shot of a mature Brown Falcon here. Zebra finches were in plague proportions. Darkness came in fast as there was no moon until late into the night. As a result the stars were spectacular. It has been many years since I have seen a night sky like this. The Milky Way stretched right across the night sky and the Southern Cross was lost in the millions of stars that shone like diamonds on black velvet. Saturday morning and I was up before the sun and out photographing the hill of Rainbow Valley. The chill in the air froze my fingers and it was back to the caravan for a hot cup of coffee. 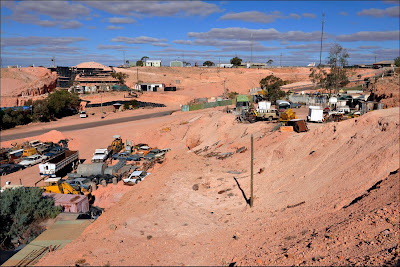 From Rainbow valley it was in to Alice Springs where we managed the last caravan site in the caravan Park. 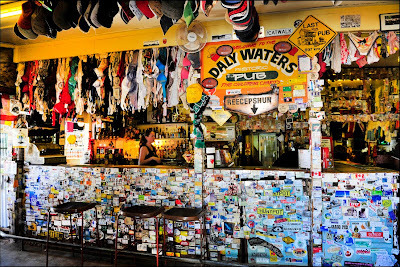 We will now spend three days here before heading out into the gorges.